Whether you’re a Jewellery Quarter resident, worker or visitor, you can save up to 15% with the JQ Card when visiting the 50+ retailers listed below, no matter what time of the week! 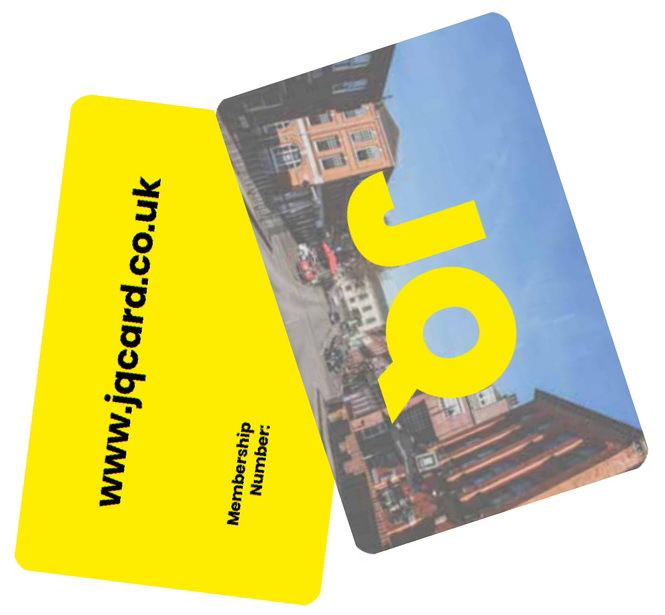 £9 can save you hundreds of pounds in just one visit or over the 12 month lifetime of the JQ Card. Buy with debit or credit card using the Buy Now button below and the JQ Card will then be posted, same day Mon-Fri, 1st class and free of charge. To make things easier for everybody, please show your JQ Card when you first speak to the retailers.